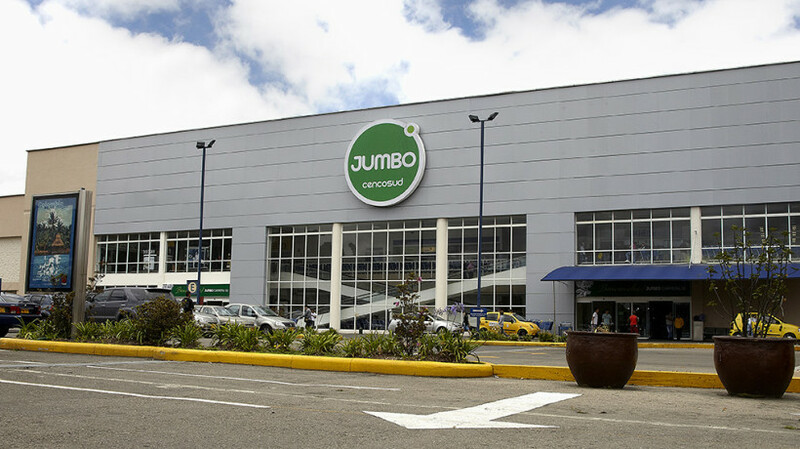 Cencosud (NYSE: CNCO), the South American retailer operating the “Jumbo”supermarkets in Colombia and other South American countries, as well as home improvement stores, shopping centers and department stores in Chile, Argentina, Brazil, Peru and Colombia, announced its guidance for the rest of 2015 today. Cencosud expects revenue of $19.3 billion to (USD)$ 21.1 billion, and an adjusted EBITDA margin of 7.0% – 7.4%, for the year 2015, based on a dollar exchange rate as of January 30, 2015. Full year 2015 capital expenditures for organic growth and remodeling of stores is expected to total approximately USD545 million. This entails capex of $230 million for new stores and shopping center investments. In addition, the company expects to spend $100 million on IT and related systems, $15 million on additional non-retail development of the Costanera Center’s hotel and for traffic mitigation works, $100 million for maintenance and USD100 for remodeling of existing stores. Cencosud also announced a growth plan for the 2015-2018 period with a total capex budget of $2.4-3.0 billion. The capital expenditures guidance given by Cencosud reflects the company’s priorities of limiting leverage for the next four years while maintaining breakeven or positive free cash flow, sustaining its growth and serving its regional customer base. Cencosud’s long-term growth strategy includes a commitment to maintaining its investment grade rating while recognizing the need for growth in the markets in which it operates. The funds expected to be received from the anticipated joint venture transaction with Scotiabank are expected to reduce debt and improve the maturity profile of the company’s debt, and also allow Cencosud to have a greater amount of free cash flow available to fund its organic expansion. “With respect to the shopping centers business and real estate assets, leveraging our existing land bank especially in Chile, Peru and Colombia, we are currently evaluating a potential IPO of our shopping centers division, with Cencosud maintaining a majority position. This evaluation process is in the preliminary stages, and any transaction ultimately undertaken with respect thereto will be subject to approval by the board of directors of the company as well as any other regulatory approvals required under applicable law,” said Cencosud, in a written statement.